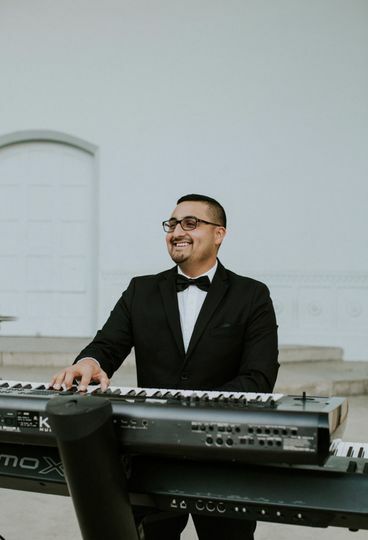 Christien Anthony Music services weddings and events throughout the Inland Empire in California. 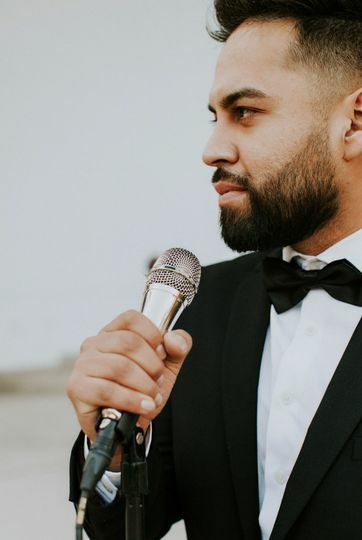 Co-founders Israel “Christien” Santiago and Ricky “Anthony” Jacquez founded their group after feeling like the wedding industry needed a refreshing, heartful change. They specialize in covering soul and R&B artists like Stevie Wonder, Stephanie Mills, Leona Lewis, Bruno Mars, and Tommy Walker. Santiago and Jacquez are backed by jazz musicians, including a horn section. 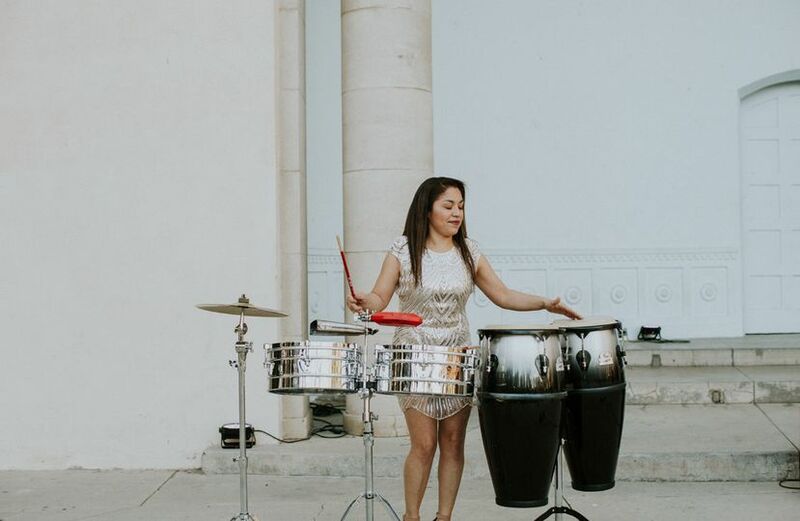 Their energy, class, and vivaciousness will ignite your guests throughout your special day. 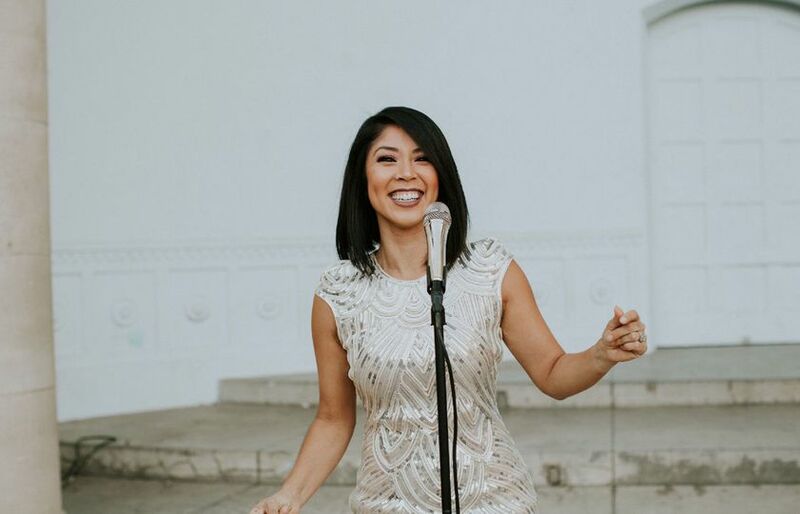 Christien Anthony Music is committed to providing the highest level of wedding entertainment. Do not pass up this band! As a musician myself I went into wedding planning knowing I wanted a DJ. There was no way a band would be able to sound as consistently good as a song recorded professionally. I met Izzy and Ricky at a bridal expo when I happened to walk by their booth. I explained I was in the market for a DJ and not a band and they asked if I would give them a chance and watch their showcase. I figured, why not? I took my bestie (also a musician), my sister, and my mother (a musician) and we watched them perform. It is an understatement to say I was blown away. 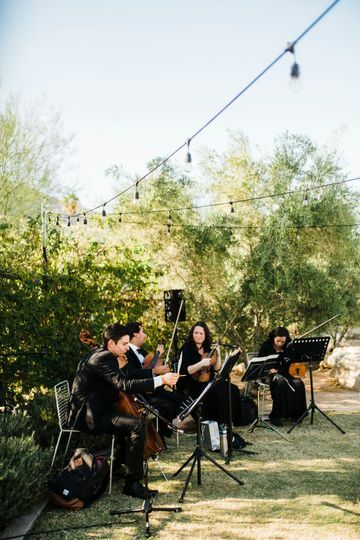 I planned a small backyard wedding and the moment I heard them I had to completely change my plans to accommodate. They are that good. Ricky told me that I should check them out with their brass section and somehow, I don’t even understand it, they were even better. 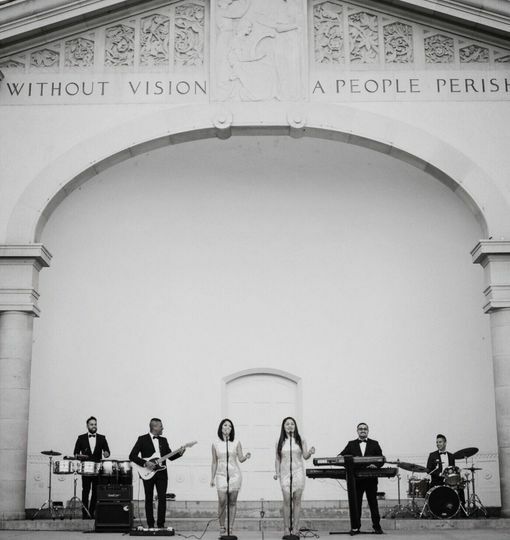 My small backyard wedding had to move to a massive venue for one reason only, I needed a big stage for this band. They are, without question, the best (not only wedding) band around. I was so excited to hear them, that I ended up hiring them for our holiday party the month before my wedding. Make the room in your budget for this band. You will not find anyone better. They not only are the most talented people but they are kind, friendly, and just wonderful overall. I believe they will absolutely blow up the wedding scene and become the hottest ticket in town, so don’t wait on this. Hire this band. They are everything! When you’re a musician, it can be very challenging to find a band that not only impresses you, but blows you away. 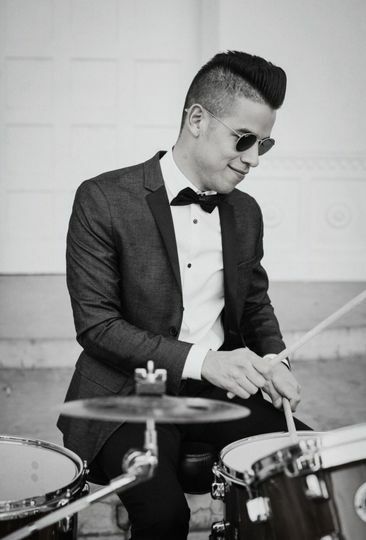 Christien Anthony is that band. Their talent is indescribable. During our holiday party, I was already dreaming up other events I could throw just so that I can see them again. If they were touring, I would be first in line for tickets. They are THAT good. Please do not lose your chance to hire this band. They will take your event to the next level and you will be begging for more! Will do anything to make your day all about you! Ricky and has team were phenomenal. In one of my first correspondence, Ricky mentioned that they really get a feel of the crowd and will play to their taste. The band was spot on! They arrived extra early and dressed very professionally. The event was in Palm Springs where it rains 10 days a year. Well, on our day, the rain lasted all day ...36 hours consecutive in fact. This was an outdoor poolside event. The band was so accommodating even with the challenge of the elements. The lead female vocal by the end of the evening was drenched, her dress was soaked yet they continue to work the crowd and moved around the area rather than hide underneath the tent! Absolutely impressive. 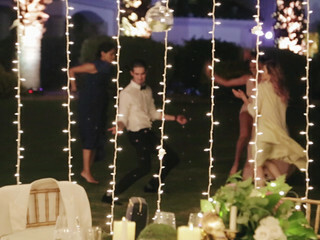 But as a wedding professional myself, I will add that Ricky and his team were amazingly flexible. I did not give them a detailed schedule or timeline which caused me to ask for several day of requests. I never heard the word no. As I told Ricky, working with him really taught me a lot about our industry. Hand holding, being compassionate, and genuinely care that this is a big day for your client, doing whatever it takes no matter what the contract terms state is what every vendor should do and Ricky and his team definitely did that. So, yes, our guests and we are still talking about how wonderful Christien Anthony Music is. 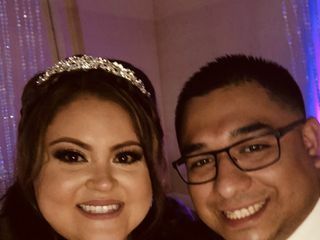 Thank you Ricky and your team for being gifted, professional and so compassionate, making our big day truly unforgettable! PS Weddings cost a lot, no doubt. It is your big day. Have a budget but don't always hire based on price. More times than not you get what you pay for. You can usually judge what you are getting a lot of times alone on just your initial correspondence! Vendors that are professional, quick to respond and accommodating generally are also very creative, quick to put fires out and will go above and beyond. Ricky and his team for sure would be our choice over and over! 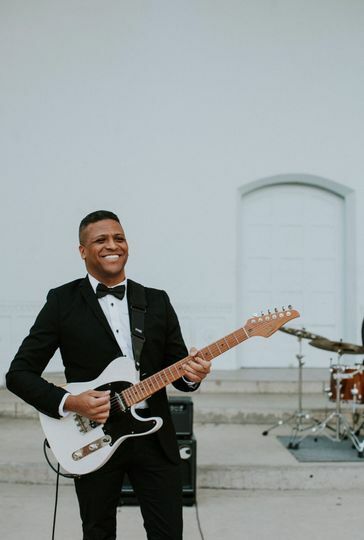 If you&apos;re looking for a wedding band, Christien Anthony Music is the band for you. They know countless songs, are so friendly and fun to be around. 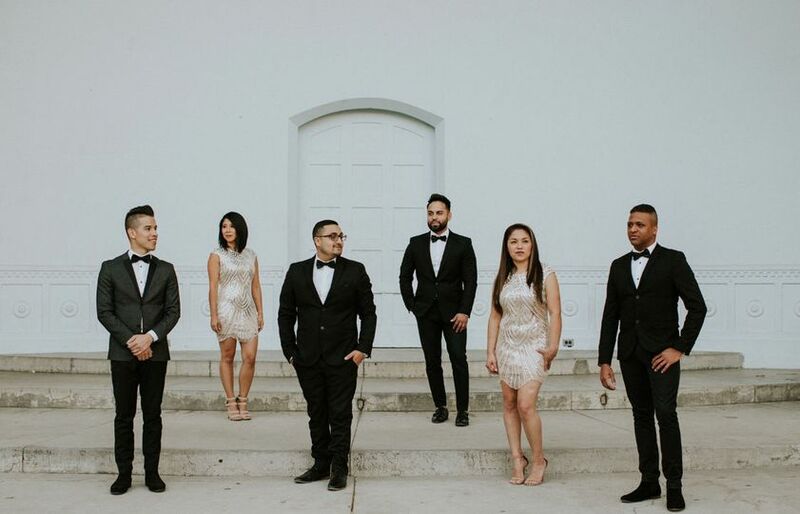 I honestly love working with them and know their genuine group is the right band for EVERY WEDDING!